A growing body of research values the broad benefits of cooling down cities, such as improved energy efficiency, worker productivity, air quality, health, and equity, at hundreds of millions or even billions of dollars to a single city. However, widespread adoption of urban heat mitigation programs, such as urban greening and reflective surfaces, has been slower than their economic potential suggests it should be. One possible cause for this lag is a lack of robust engagement from important stakeholders like utilities that could fund and implement heat mitigation strategies. This paper highlights the benefits of urban heat mitigation and demonstrates how these benefits fit into private utility programs’ standard cost–benefit tests. 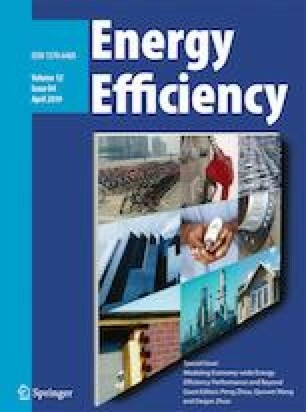 This paper serves as an introduction on how to include the wide suite of benefits that urban heat mitigation programs provide in cost–benefit tests and concludes with program design guidance. Akbari, H. (2005). Energy saving potentials and air quality benefits of urban heat island mitigation. United States. https://www.osti.gov/servlets/purl/860475. Accessed 14 Feb 2018. Berg, W., Nowak, S., Grace, R., Vaidyanathan, S., Junga, E., DiMascio, M., & Cooper, E. (2018). The 2018 state energy efficiency scorecard. Washington, DC: ACEEE aceee.org/research-report/u1808. Accessed 26 Feb 2018. Burbank Water and Power. Free shade trees. Last accessed March 4, 2019. Available at https://www.burbankwaterandpower.com/incentives-for-residents/shade-tree-program. Campra, P. (2011). Global and local effect of increasing land surface albedo as a geo-engineering adaptation/mitigation option: A study case of Mediterranean greenhouse farming. From the edited volume Climate change-research and technology for adaptation and mitigation. InTech. https://doi.org/10.5772/23286. Cedar Falls Utilities. Shade tree discounts. Last accessed March 4, 2019. Available at https://www.cfu.net/save-energy/shade-tree-discounts/. Chandler, Ad. June 2016. Where the poor spend more than 10 percent of their income on energy The Atlantic. https://www.theatlantic.com/business/archive/2016/06/energy-poverty-low-income-households/486197/. Cool Roof Rating Council. (n.d.) Website available at https://coolroofs.org/resources/rebates-and-codes. Accessed 1 Mar 2018. Haberl and Cho. (2004). Literature review of uncertainty of analysis methods (cool roofs) report to the Texas Commission on Environmental Quality. Energy Systems Laboratory, Texas A&M University. Available electronically from http://hdl.handle.net/1969.1/2071. Accessed 26 Feb 2018. Hoff, J. (2014). Reducing peak demand: a hidden benefit of cool roofs. Duro-Last Roofing. Available at https://www.coolrooftoolkit.org/wp-content/uploads/2014/11/Peak-Demand-Hoff-11.11.14.pdf. Accessed 15 Feb 2018. Kats, G., Glassbrook, K. (2016). Achieving urban resilience: Washington DC. Cool Roofs and Cool Pavements Toolkit. https://www.coolrooftoolkit.org/knowledgebase/achieving-urban-resilience-washington-dc/. Accessed 14 Feb 2018. Kirn, B. (2006). Cool roof coatings to reduce energy demand and temperature in an urban environment. RCI Symposium Paper. Available at http://rci-online.org/wp-content/uploads/2006-07-kirn.pdf. Accessed 14 Feb 2018. Lewis University. July, 19, 2013. Why does hot weather cause power outages? Science Daily. www.sciencedaily.com/releases/2013/07/130719103146.htm. Accessed 20 Feb 2018. Ma, S., Pitman, A. (2018). Evaluating the effectiveness of mitigation options on heat stress for Sydney, Australia. Journal of the American Meteorological Society, 57, 209–220. https://doi.org/10.1175/JAMC-D-17-0061.1. McCarthy, M., Best, M., Betts, R. (2010). Climate change in cities due to global warming and urban effects. Geophysical Research Letters, 37(9), L09705. https://doi.org/10.1029/2010GL042845. McDonald, R., Kroeger, T., Boucher, T., Longzhu, W. and Salem, R. (2014). Planting healthy air. https://global.nature.org/content/healthyair. Accessed 1 Mar 2018. Molina, M., Kiker, P., & Nowak, S. (2016). The greatest energy story you haven’t heard: how investing in energy efficiency changed the US power sector and gave US a tool to tackle climate change. Washington, DC: ACEEE aceee.org/research-report/u1604. Accessed 1 Mar 2018. National Efficiency Screening Project. (2017). National Standard Practice Manual for assessing costeffectiveness of energy efficiency resources Edition 1. National Efficiency Screening Project. Available at https://nationalefficiencyscreening.org/wp-content/uploads/2017/05/NSPM_May-2017_final.pdf. Accessed 20 Jan 2018. Organization of Economic Cooperation and Development (OECD) and International Energy Agency. 2018 The future of cooling. Available for download at https://webstore.iea.org/download/direct/1036?fileName=The_Future_of_Cooling.pdf. Accessed 26 Feb 2018. Perera, E. M., Sanford, T., White-Newsome, J. L., Kalkstein, L. S., Vanos, J. K. and Weir, K. (2012). Heat in the heartland: 60 years of warming in the Midwest. Union of Concerned Scientists. Available athttp://www.jstor.org/stable/resrep00035. Accessed 12 Feb 2018. Rademaekers, K., van der Laan, J., Boeve, S. and Lise, W. (2011). Investment needs for future adaptation measures in EU nuclear power plants and other electricity generation technologies due to effects of climate change, final report. Prepared for the Commission of the European Communities, Rotterdam. Available at https://ec.europa.eu/energy/sites/ener/files/documents/2011_03_eur24769-en.pdf. Accessed 1 Mar 2018. Sacramento Municipal Utility District (SMUD). (2018). Shading Sacramento: improve air quality and lower your energy costs. Available at https://www.smud.org/en/Going-Green/Free-Shade-Trees. Accessed 29 Mar 2019. The World Health Organization. (2018). Health and sustainable development: air pollution. http://www.who.int/sustainable-development/cities/health-risks/air-pollution/en/. Accessed 1 Mar 2018. U.S. Energy Information Agency (EIA). September 9, 2011. Texas heat wave, August 2011: nature and effects of an electricity supply shortage. https://www.eia.gov/todayinenergy/detail.php?id=3010. Accessed 29 Mar 2019. U.S. Environmental Protection Agency (EPA). (n.d.). Mortality risk valuation. https://www.epa.gov/environmental-economics/mortality-risk-valuation#whatisvsl. Accessed 1 Mar 2018.